2. Support all CNC controllers, plasma cutters on market. 1. Better operation, new operation panel design. 2. Added Dynamic Pierce, protect torch retaining cap. Torch Retaining Cap IHS and Proximity Switch IHS (NPN and PNP), Proximity Switch IHS is backup for Torch Retaining Cap IHS for cutting dirty/rusty workpiece, needing the Anti-Collision Fixture designed by HYD (optional ). We designed Touch-Up circuit for Anti-Collision Function. 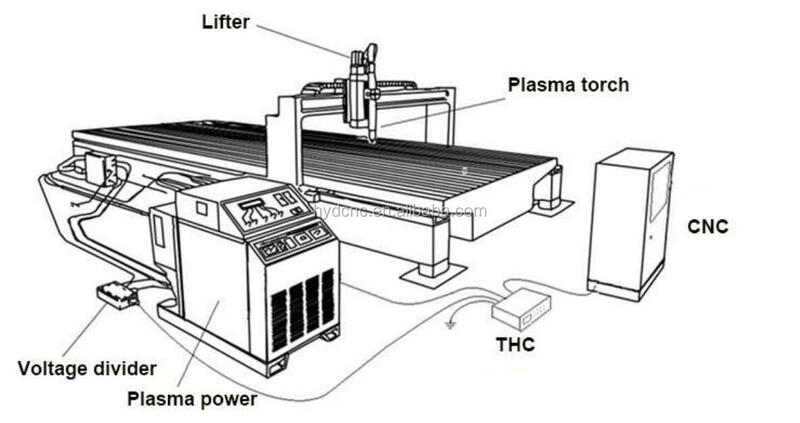 No matter it is on Auto Control Model or Manual Control Model, when torch head touches the workpiece, THC would automatically lift torch up to IHS height. So with XPTHC-100, even in Manual Control Model, user doesn’t need to worry about torch head crashing. 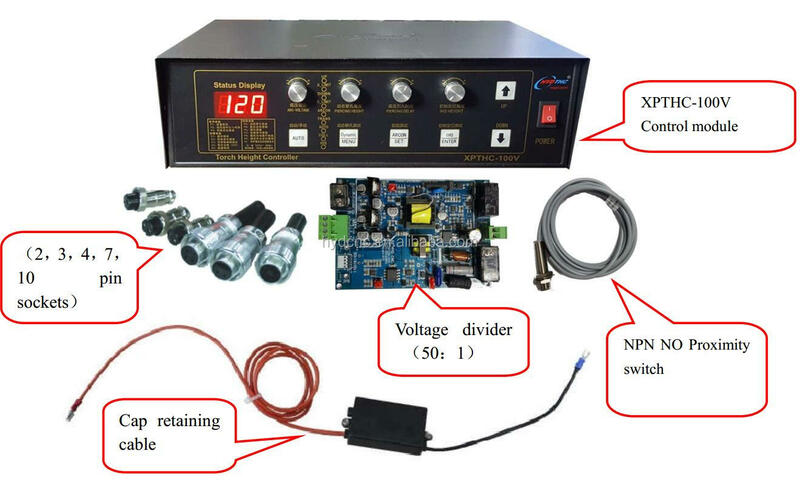 XPTHC-100 can recognize Corner Signal from CNC and freeze Auto Control Model on receiving this signal, protect torch on voltage spikes (Corner Turning, Kerf Crossing) effectively. Set the Button (Set PIERE) to set Pierce Time. Isolation Voltage Divide detection, the Voltage Divide ratio is 100:1/50:1. And XPTHC-100 supports different HF plasma. 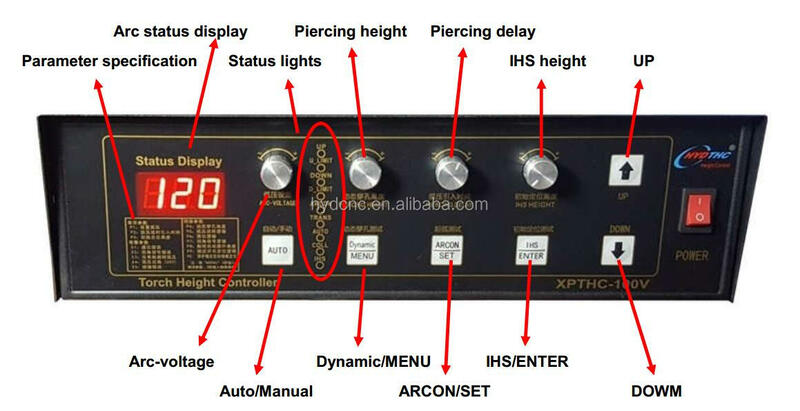 Shenzhen HongYuDa(HYD) CNC Technology Co.,ltd is a professional industrial automation design company founded in 2007, but the founder Xiao Chunming designed his first THC in 1998. Our core of design is High Quality with Affordable Cost. XPTHC series and CHC series THCs support DC motor, which made stand alone THC affordable to most users, while the accuracy and stability of THC are still industrial level. Because HYD THCs are suitable for application from entry-level to industrial-level, we have the biggest sale of THCs on market, over 5000 sets per year. In 2015, we just developed THC with brushless motor for higher control accuracy and save cost at the same time. In 2016, our servo based torch height control for high speed(laser cutting) application is ready to go to market. We can design any kind of torch height control for your specific application! HYD motion control card will come in 2016 too. 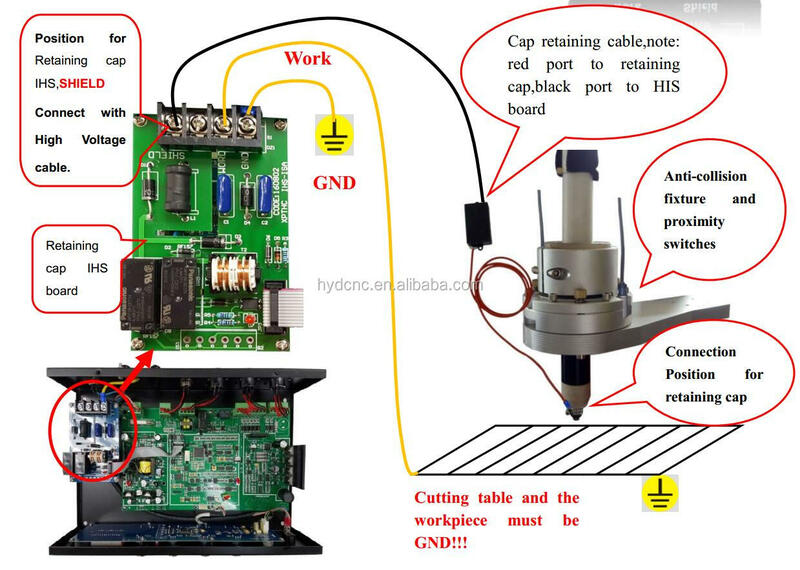 We will bring China CNC controller to a new level. 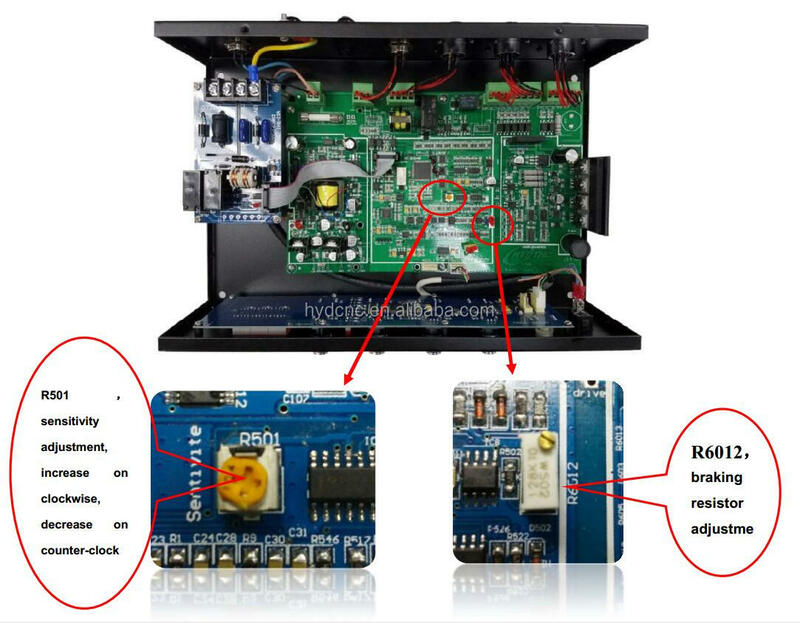 Currently China market is full of ARM controller, which is cheap but not user-friendly and reliable. 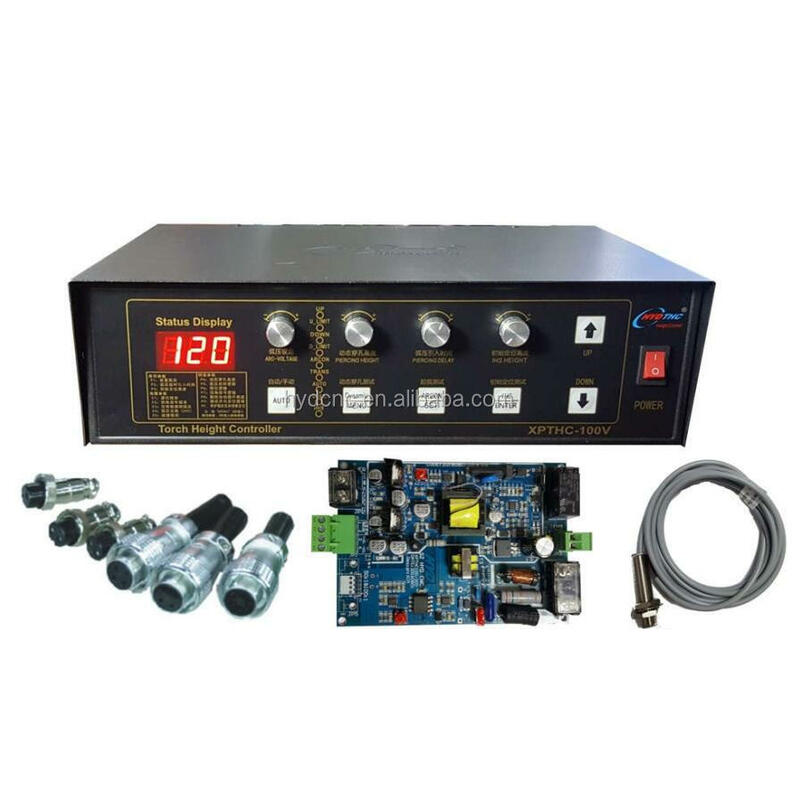 We will supply PC based CNC controller at similar cost level as ARM controller. Not just work on our own CNC controller, we also design operation console for Hypertherm's EDGE series, FastCut, Burny controller... to standardize CNC cutting machine production for China OEM machine manufacturers. We have professional R&D team capable to make different kinds of product solution. We are not just aiming to make some best-seller products, but also make our name on the history of China industrial evolution. New XPTHC-100 product image as below. As OEM manufacturer's request, we can supply it without the Logo HYD and XPTHC-100III, for customer to use their own logo.